Home / Case Results / Bronx MVA Lawyer Review: K.P. Bronx MVA Lawyer Review: K.P. On December 30, 2015, K.P. was driving northbound on the Bruckner Expressway in the second lane (from the left) in moderate traffic when a truck struck the rear of K.P.’s vehicle in Bronx, New York. After the accident, K.P. immediately felt head and back pain. Her pain grew worse over the ensuing 24-48 hours. K.P. went to the emergency room in Montefiore Medical Center where she was examined, treated, and released for outpatient care. As a result of the accident, K.P suffered injuries to her neck, lower back (herniated disc), and shoulder. She attended physical therapy and a rehabilitation program that included hot/cold packs, electrical stimulation, massage therapy and exercises 3-4 times per week. When conservative treatment failed to improve her neck and back injury, she underwent a lumbar epidural steroid injection. For years, K.P. listened to Adam Handler – The Case Handler on the radio. “I listen to Adam almost everyday to this day,” said K.P. After her accident, she went straight to The Case Handler team for legal guidance. 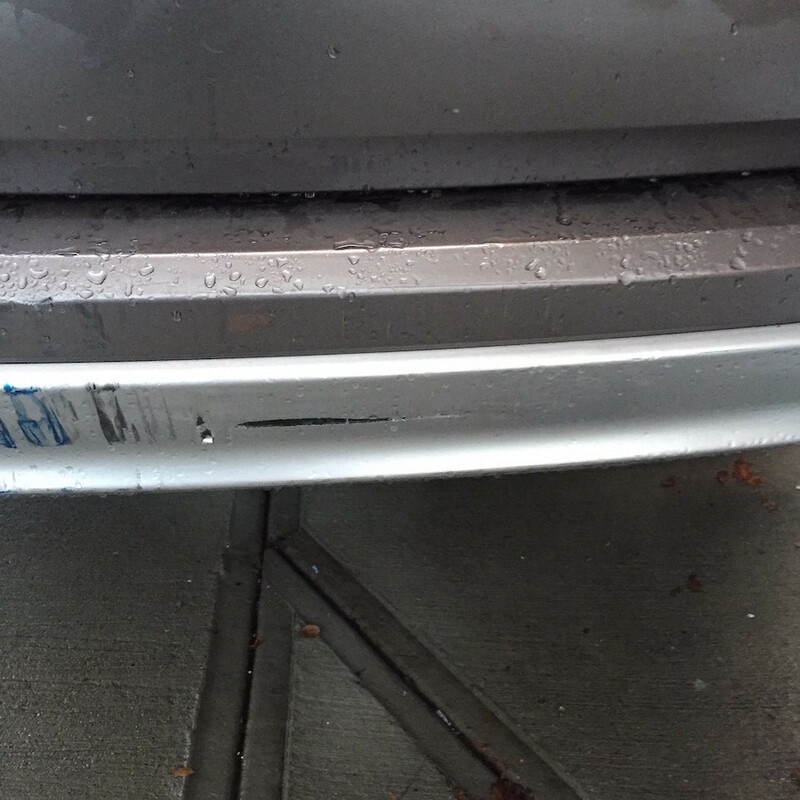 While we knew K.P.’s injuries were very serious, the damage to her vehicle was very minimal. Proving the severity of K.P.’s injuries was going to be a tricky task considering how little damage there was on the vehicle itself, but not impossible for The Case Handler team! 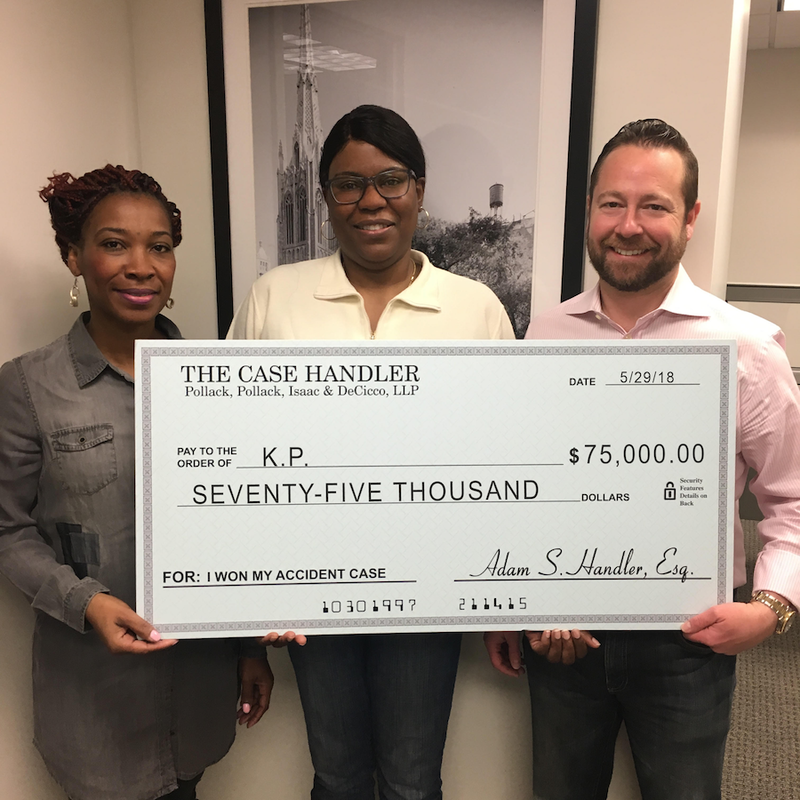 With our help (and despite the lack of vehicle damage), The Case Handler team successfully recovered $75,000.00 for K.P.! One question that we get nearly every day is, “how much is my case worth?” If we were to look at two individuals that have the exact same injuries, there is absolutely no guarantee that they would both walk away with the same amount of money. Why is that? Possibly due to varying policy limits, extent of property damage (just like K.P. ), and the list goes on. Instead of giving up because maybe there were no witnesses in your accident or maybe your car doesn’t even look damaged like this case, let a reputable Bronx MVA lawyer review your case and make that decision for you.